Police tactics in dealing with street protests are often subject to criticism, in democratic countries as much as in totalitarian ones. The use of water cannon and rubber bullets is allowed under standard operating procedures in many countries. Usually it means that either the number of demonstrators was so huge that the police felt that they were losing control and that there was a threat to public order, or that the protest had become violent and there was danger to safety of citizens or property. It could also mean that the police were unprofessional or under instructions to use heavy handed tactics. 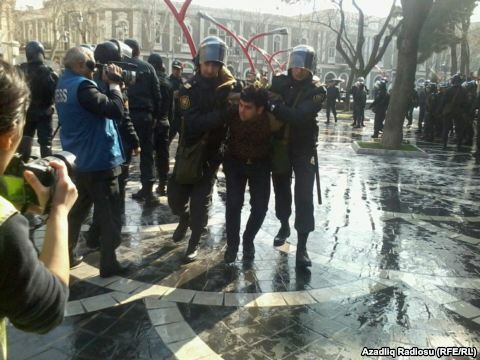 The protest held in Baku on 10 March was neither huge nor violent yet the police responded with tear gas, water-canon and rubber bullets, and arrested around eighty protestors.. The use of overwhelming force to break up a protest mainly by young people angry at the number of deaths in the Azerbaijani Army as a result of abuse by senior officers is a sign of the jittery mood in the Azerbaijani leadership ahead of presidential elections in October. The protestors were calling for the resignation of the Defence Minister. Amongst them were relatives of some of the hundreds soldiers who died in the Azerbaijani military in non combat situations over the last years. If Brezhnev could accept the Helsinki Final Act of 1975, it should not be so difficult for Armenia and Azerbaijan to do so too. 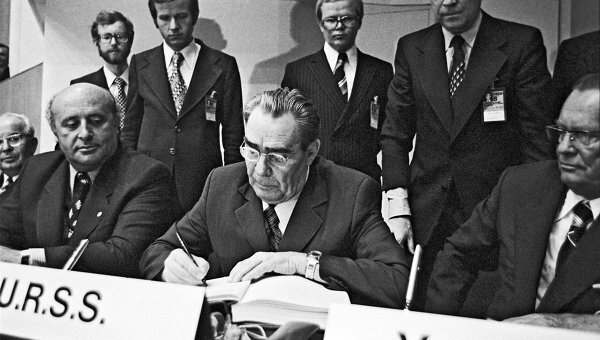 Soviet Leader Leonid Brezhnev signing the Helsinki Final Act in August 1975. The Act made the subject of human rights a matter of legitimate concern to all. 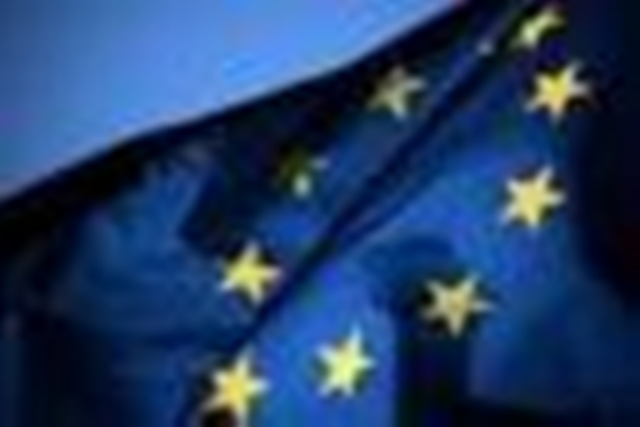 Over the last few weeks it has become common to hear officials in Azerbaijan, and to a lesser extent in Armenia, complaining that the European Union is interfering in the internal affairs of their countries. 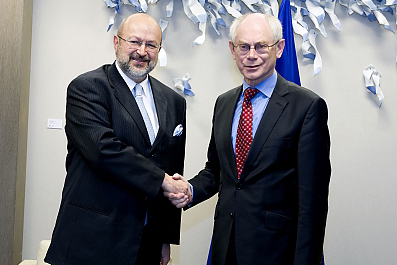 This happens whenever EU officials or diplomats raise issues connected with human rights, rule of law and free elections. The chorus started first with some pro government journalists and commentators, but by last week senior officials in the two countries had joined the fray. 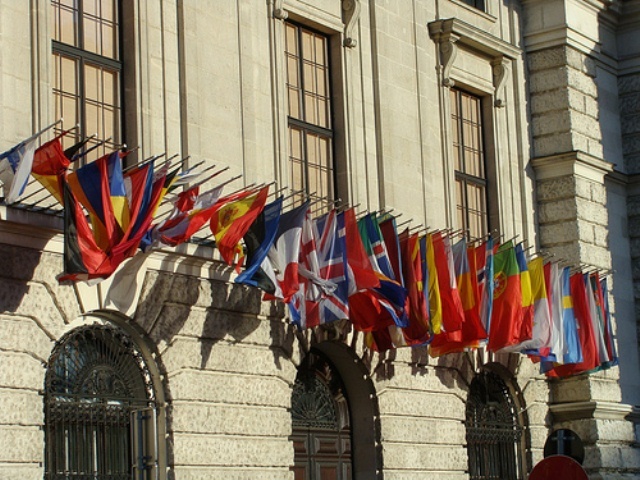 Thirty-two European governments express concern about human rights situation in Azerbaijan.